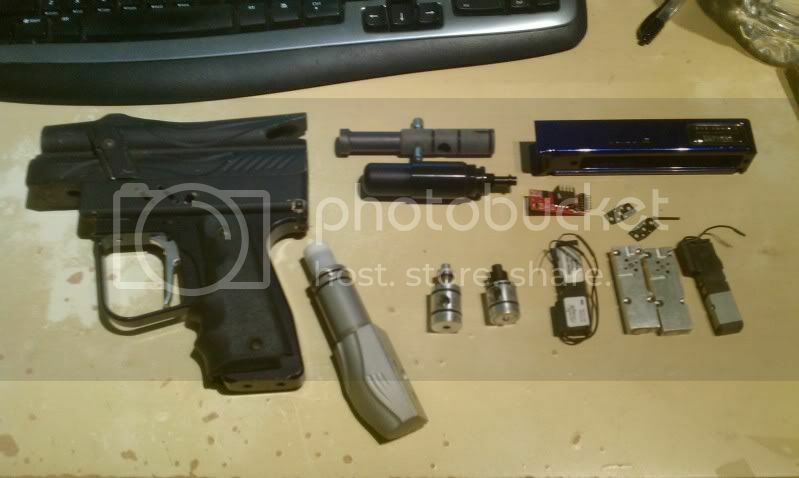 BKO zenitram and vapor valve, parts, barrels!! BUY BUY BUY!! 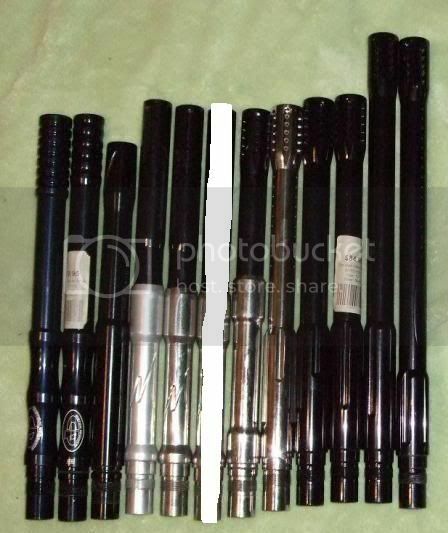 Posted: Sun Mar 20, 2011 12:39 am Post subject: BKO zenitram and vapor valve, parts, barrels!! BUY BUY BUY!! Posted: Sun Mar 20, 2011 7:20 am Post subject: Re: Everything must go!!!! Guns, valves, parts, barrels!! Posted: Sun Mar 20, 2011 7:12 pm Post subject: Re: Everything must go!!!! Guns, valves, parts, barrels!! Posted: Sun Mar 20, 2011 9:06 pm Post subject: Re: Everything must go!!!! Guns, valves, parts, barrels!! What does the killa board go in?Will any of these barrels fit the P/M? Posted: Sun Mar 20, 2011 9:34 pm Post subject: Re: Everything must go!!!! Guns, valves, parts, barrels!! Will any of these barrels fit the P/M? No. Promasters are autococker ("cocker") threaded. Posted: Sun Mar 20, 2011 9:49 pm Post subject: Re: Everything must go!!!! Guns, valves, parts, barrels!! Would you consider trading that jmj trigger for a gloss black cp? I can add a little bit of money if need be. Posted: Sun Mar 20, 2011 9:50 pm Post subject: Re: Everything must go!!!! Guns, valves, parts, barrels!! Posted: Mon Mar 21, 2011 2:03 am Post subject: Re: Everything must go!!!! Guns, valves, parts, barrels!! Posted: Tue Mar 22, 2011 7:27 pm Post subject: Re: Everything must go!!!! Guns, valves, parts, barrels!! I will take one of the CP barrels if you are willing to separate.. Let me know. Posted: Fri Mar 25, 2011 2:04 pm Post subject: Re: Everything must go!!!! Guns, valves, parts, barrels!! Pooh, I'll take the Lasoya for a local kid. Going by this evening to collect his money, I'll Paypal you tomorrow.